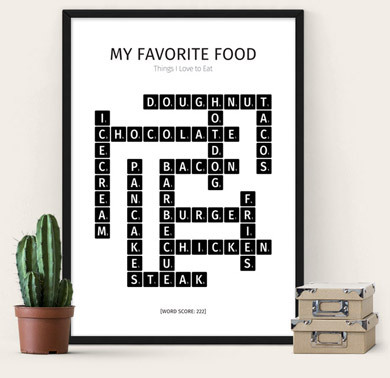 Your home, your walls and your home decor reflect who you are. 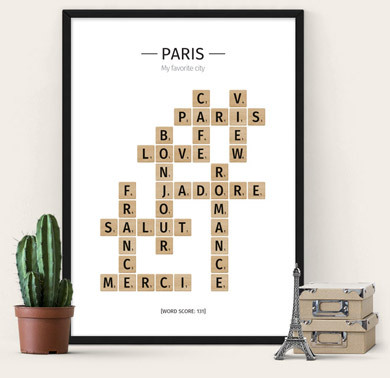 So use them to show your favorite words and bring back fond memories on a puzzle poster in scrabble style. 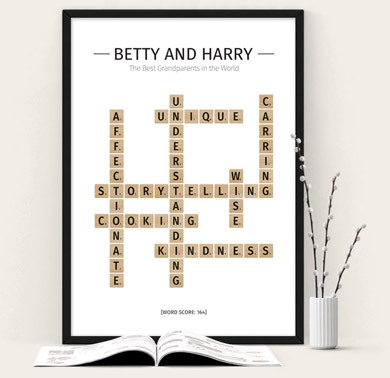 Choose your own words and create a personalized and very unique poster - poster art that perfectly represents you, your family, a friend or a special someone. 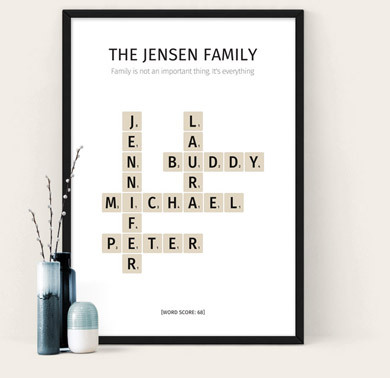 Do you want to give an original and personalised gift? 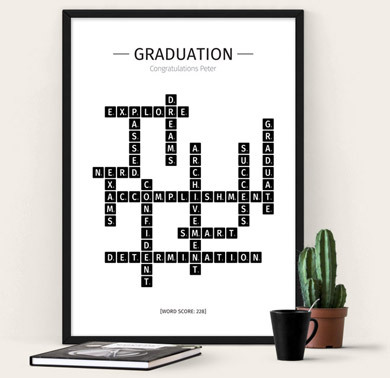 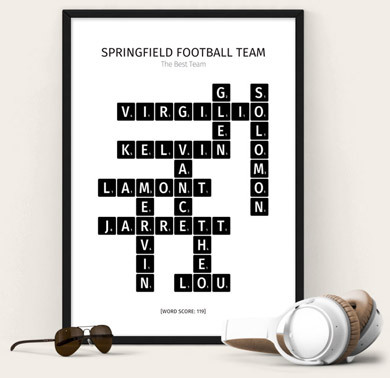 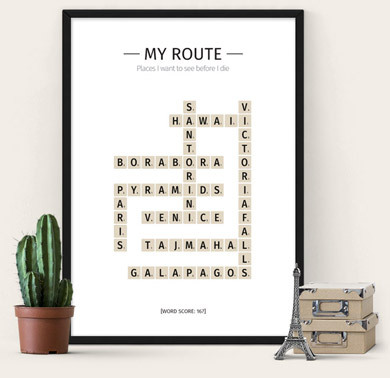 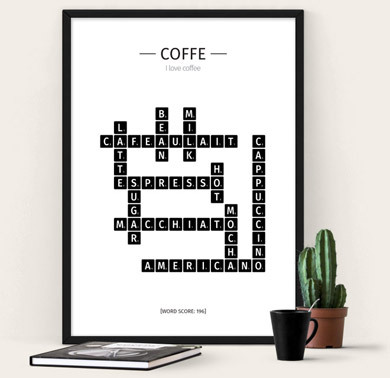 With The Puzzle Poster you can add any words to create a memorable, unique and custom poster for a yourself, a friend or a special someone. 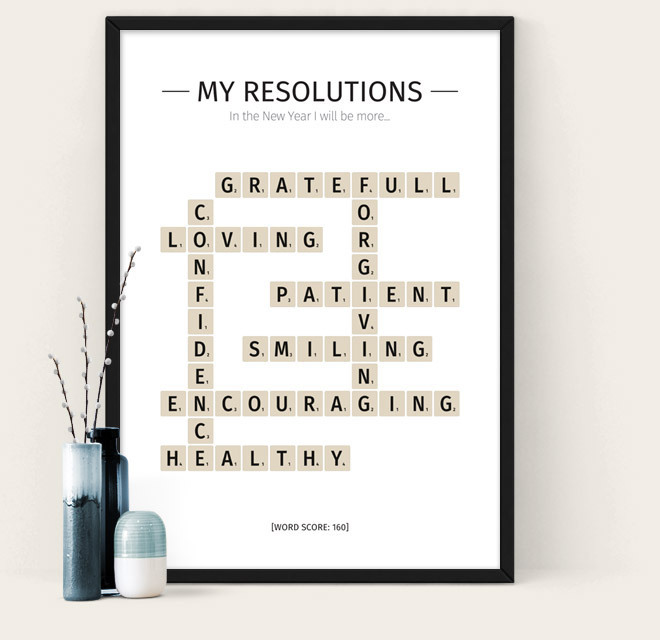 We have made a bunch of posters for inspiration, but the final words are up to you to decide. 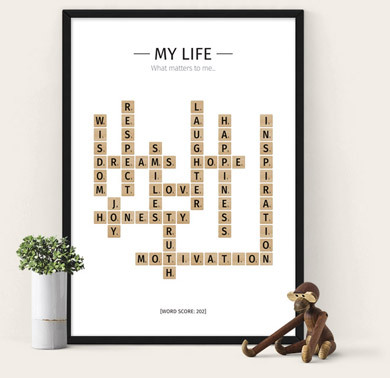 The only limit is your imagination and creativity. 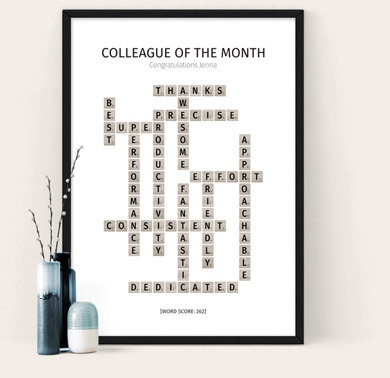 Use the poster as the perfect birthday gift or maybe a present simply to express your love, affection and gratitude towards a loved one. 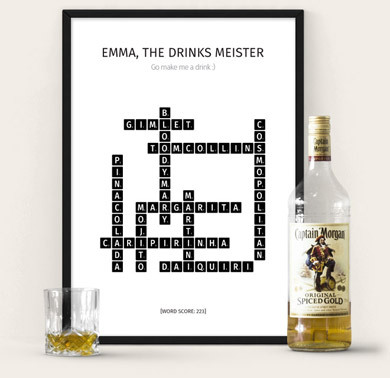 A puzzle poster is an unusual and very personal gift and it will make a great conversation piece at any party or birthday.